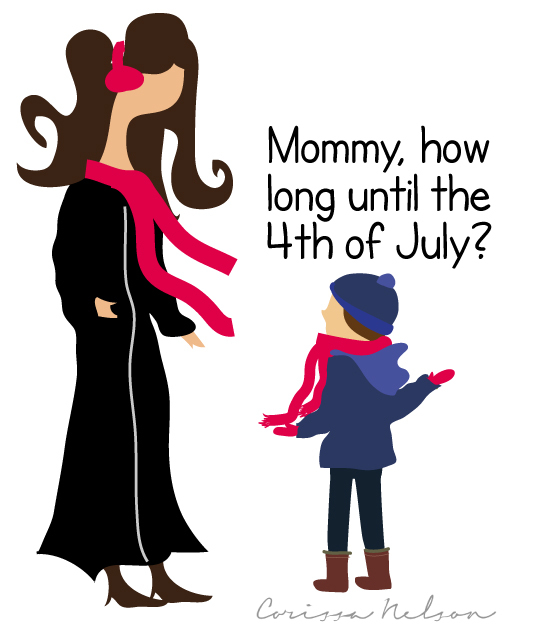 Mommy, how long until the 4th of July? My oldest son can't wait for fireworks and the Fourth. It's really too bad we have a number inches of snow on the ground yet.